Flaming Star Productions artiste Alana DaCosta left for Switzerland, on Sunday, August 10, to perform at the 11th annual international Lakesplash reggae music festival to beheld on Saturday and Sunday, August 16 and 17. 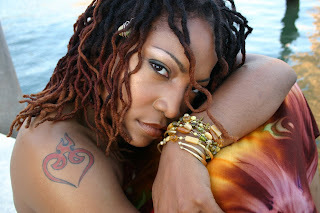 On her return, Alana who has shared stage with Beres Hammond before in Ft. Pierce, Florida, at the “For the love of it” tour, is scheduled to perform at the upcoming “Moment In Time” concert headlined by Buju, Beres and Pressure taking place at the incredible Broward Regional Park (cricket stadium) here in Fort Lauderdale on Saturday, August 23, 2008. Alana has made appearances at the Bob Marley Festival(2006), UNIFEST, Seminole Hard Rock and shared stage with various legendary reggae artistes as well as R&B legends the likes of Freddy Jackson, Roberta Flack and Peabo Bryson. The inspiring lyrics and strong vocals of this singer/songwriter is evident in her first release “Happy 2 Be Nappy”, well received here in the U.S.A. and in places like Switzerland, Netherlands, United Kingdom. Her next single, “Takin It Back” off her upcoming, smoking hot album “My Smoke”, is soon to hit the airwaves and is already a favorite, especially with the ladies, when performed recently at the International Curryfest at the Broward Regional Park, with its liberating message of uplifting oneself out of bad situations. Alana’s songs are sure to be classics and will be appreciated for all times.